People who use Microsoft Outlook on an Exchange Server having a size limit set for an email to be sent out, often face problems of “Message Stuck in Outbox” when they try to send an email that exceeds the set limit. 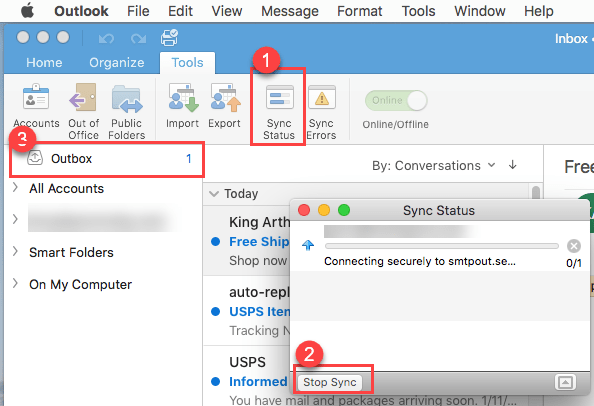 If a user tries to delete the stuck message, then Outlook displays a message “Outlook has begun transmitting message,” which means it cannot be deleted. What to be done in this case? Because it may halt Outlook and you may face problems when sending and receiving emails. Look for the possible solutions below. To go offline, turn off the network connectivity by turning off the modem or by pulling out the network cable. Now, just wait for a few moments until Outlook displays a message about connectivity problem. When you see the message, open Outbox, select, and delete the message. You must be able to delete the message with this way. Select Microsoft Exchange and click Change. Select Manually control connection state. Select Work Offline and use dial-up networking. Outlook will go offline instantly but you should wait for about 5 minutes before you delete the message stuck in the Outbox. In Outlook 2007, select File > Work Offline to take Outlook in offline mode. Click the Microsoft button and type Outbox in the search filed. You will see the stuck message in the search list. Select and delete the message. This is how you can delete a Message Stuck in Outbox. Try these methods, and you should be successful.